A simple thank you goes a long way in making an employee, or anyone, feel appreciated. Encourage appreciation from employees to each other too. It is a great way to build morale. 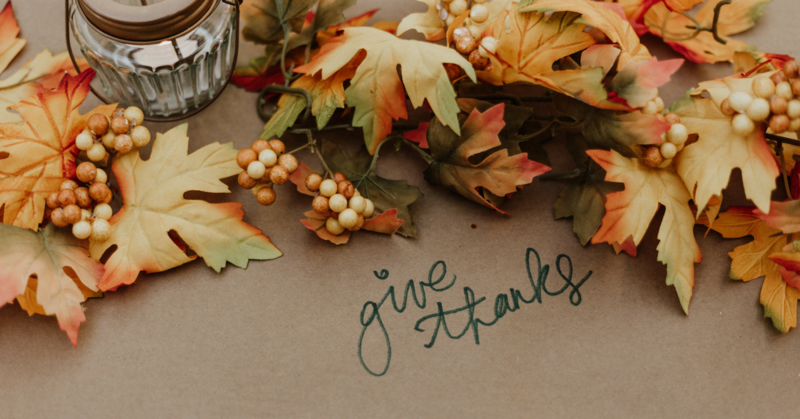 Not being required to work the day before or after Thanksgiving, or to be let off early the day of a holiday is a great way to say thank you to your team and their families. Show your gratitude with a toke of appreciation. This does not have to be cash, but could be a dinner at a restaurant, tickets to an event, a day off with pay, gift card, the list goes on. Showing an employee that leadership appreciates their hard work is what it's all about. It is important that employees are recognized for their hard work, honor them and what they are being recognized for publicly. Hold some fun company-sponsored activities for your team and their families. It’s the time of year for giving, encourage your employees to volunteer in the community and pay them to do it. Offer a certain number of paid hours per week for employees to volunteer. Simple acts can show your employees how much you appreciate them. You will have happier employees who want to work hard for you. So this Thanksgiving and every day of the year, make sure your team knows how grateful you are for them.